Do you have a battery need that demands special specifications? We advice, customize, design, engineer, assemble and test for optimum performance under any conditions. SCHIVE PROVIDES LITHIUM-BATTERY STORAGE SYSTEMS FOR COMMERCIAL AND INDUSTRIAL ENTERPRISES. SEAMLESS BACKUP POWER FOR HOMES, HOLLIDAY HOMES AND COTTAGES, MAKES YOU INDEPENDENT! The following page is written in Norwegian, please contact us if you need information in English. For a Battery Specialist, it has the highest priority to use leading cell manufacturers. 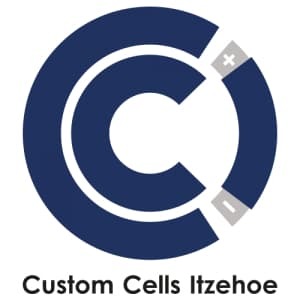 Our partners are carefully selected based on safety, quality, “state of the art” technologies, and access to cells for us to use in design and assembly of high performing and safe batteries for customer applications, as well as for cell distribution. Read about our suppliers, battery technology and areas of use. Battery technology is going trough an exciting phase. New technology and solutions continues to impress us. SCHIVE is monitoring closely development of all new battery technologies and we dare to say that we have a pretty good picture of what’s going on. Are you prepared in case of a lithium battery thermal runaway causing ventilation or fire? The 3rd OBD Battery Conference & Exhibition be held August 26-27 at Grand Hotel in Oslo. Batterier er et hett tema, vi leser om dem støtt og stadig, i fremtiden ditt og i fremtiden datt. Når kommer denne fremtiden? Dette er det vanskelig å svare på, likevel vil vi liste opp noen punkter under som er verdt å tenke på. SCHIVE is a a member of the Norwegian network of specialist companies within development and production, OMNI SA. Cooperation between teams of experts ensures excellent, robust and efficient solutions to our customers. Through OMNI, we can solve anything from simple issues to complex projects that goes from architecture to complete qualified product. Project management, documentation and clarifications between disciplines is handled by the OMNI network.Because OMNI only consists of skilled specialist companies, you will get more innovation power than with the competitors. 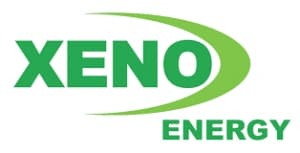 SCHIVE and Shmuel De-Leon Energy Ltd are pleased to invite you to Oslo Battery Days and to participate in the 3rd battery Conference, which will take place at the Grand Hotel, Oslo Norway, August 26th - 27th, 2019. Battery technology is going trough an exciting phase. New technology and solutions continues to impress us. SCHIVE is monitoring closely development of all new battery technologies and we dare to say that we have a pretty good picture of what’s going on. 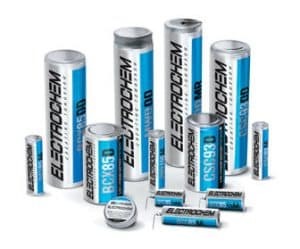 Read about our suppliers, battery technology and areas of use.